By combining style with substance, O's Café has carved out a reputation in the area for serving fresh and authentic Thai food in a beautifully designed environment. Sitting a meter above street level, this so-called designer canteen is trying to make a break from the hundreds of teak panelled, silk screen walled Thai restaurants scattered around the capital. They certainly achieve that. The windows make for great people watching and the room feels light and airy, more like a boutique than a traditional Asian eatery. The citron coloured walls create a feeling of light and space and the polished wooden tables make the place appear distinctly modern. The staff all seem to be smiley and accommodating and appear to enjoy being there. Which is nice. But what of the food? 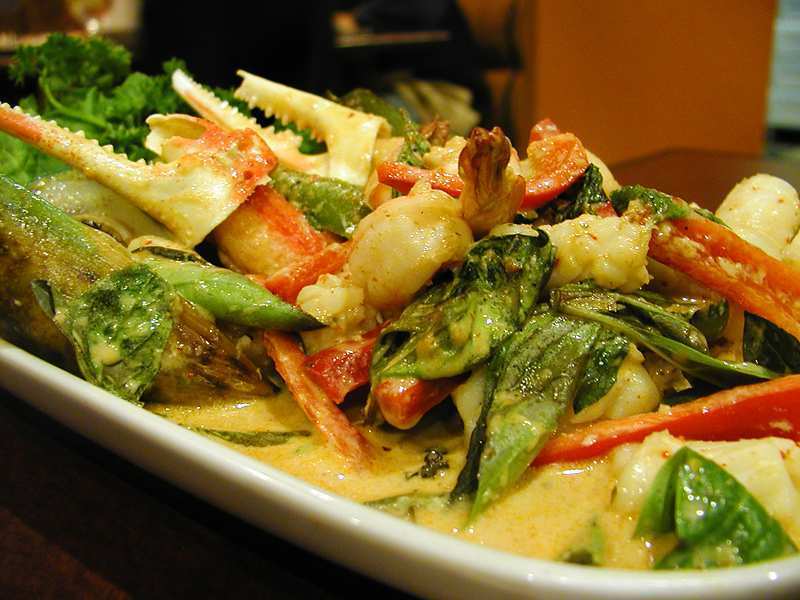 If you are a fan of south east Asian cuisine, you cannot go wrong. Each dish I have had here (which is more than I care to remember) has been cooked perfectly, pungent and left me feeling happy. Some food is for comfort. To me, Thai food is all about invigoration and O's really hits the spot. The Panang is spicy, without blowing your head off, whereas the Pad Thai had enough bite to satisfy any noodle connoisseur. If you are not sure, I would recommend the set menu. A shade under sixteen quid, including tea and coffee, the menu provides your choice of all the things they do well. Stir fried seafood in salty oyster sauce, chicken with crisp cashews and veg, or fish cakes with a selection of savoury sauces in which to dip. This is a great place and on certain nights seems to be entirely populated by couples on date night. It's the kind of place you could bring anyone and they'd be impressed. Who could ask for more? Why? Authentic Thai food in a beautifully designed environment.